– Bank statements, expense receipts (have to spend money to make money! ), old tax forms, payroll info and any documentation to support any possible deduction. – Find a deduction guide and go through these carefully. If you are feeling uncomfortable, get a tax professional to walk you through this—otherwise, it can end up costing you more than what that nice, smiling face at XYZ Tax Professionals was going to charge you! – Keep careful records of employees’ and contractors’ info. Getting this information and paperwork to employees is just as crucial as getting your own taxes paid on time. -Depending on if it is a 401k, Roth IRA, or any other type of retirement account, be sure you are putting enough money into those accounts. If you do not have one then get one set up. Speak to an accountant and see how much you can set aside in these retirement accounts. -Check out the IRS website to see all of their free tax-related guides. Now that we have gone over 5 easy steps to stay ahead of the TAX MAN…what to do with all of the extra cash? An old saying in business is, “You have to spend money to make money.” Investing money back into small businesses is vital to seeing them grow. 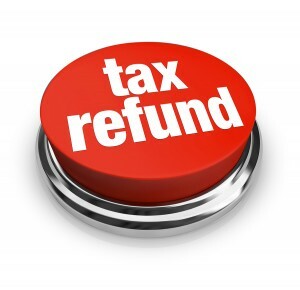 Just like the millions of people that wait until the last minute to do their taxes, many companies operate with a dated network system that might be on the verge dying, so take that tax refund check and get new or used network equipment as a backup. Instead of blowing that money on a Hawaiian vacation you should visit planithw.com and see how we are saving our customers 60-90% on network equipment. Putting money back into your small business might just be the thing that keeps it going! ← Careful…Cyber-Attacks Are Serious! Firewalls Are Important!